Salads are great for serving all year round. Most are quick and easy to make and take little or no cooking. 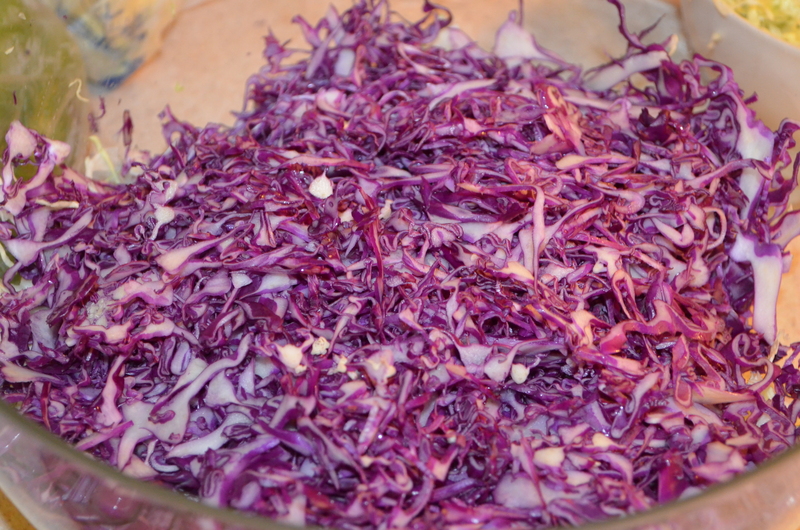 This tempting variety of color and texture full of vitamins salad is a Slavic version of Coleslaw. This is the best Coleslaw recipe yet. Always use fresh, crisp-looking greens for salads. Select firm, heavy heads of cabbage. 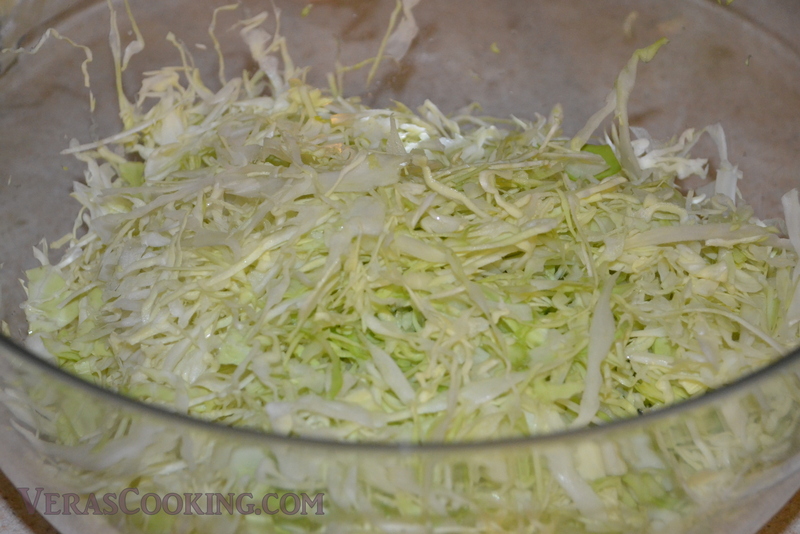 With sharp knife, shred cabbage and thinly slice green pepper. 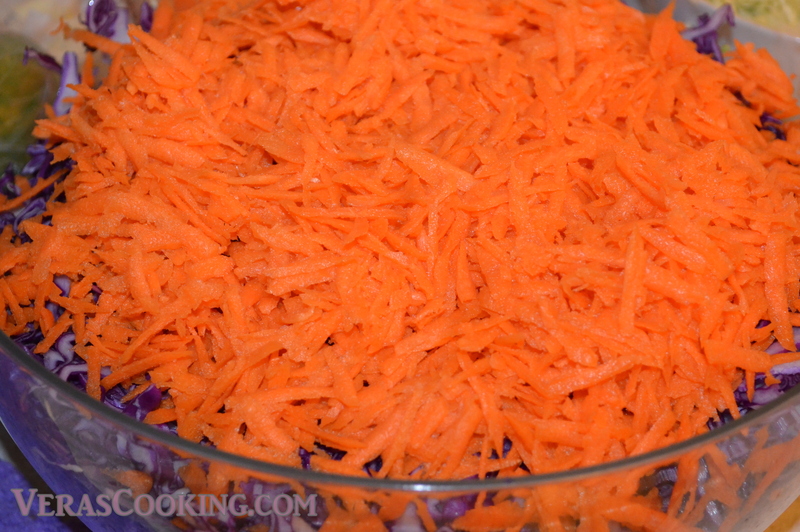 Then using a grater, shred the carrots. Slice onions into half rings. In large bowl, gently toss prepared vegetables, add vinegar, mayonnaise, and season with pepper. Cover and refrigerate. This salad is better when made a day ahead. 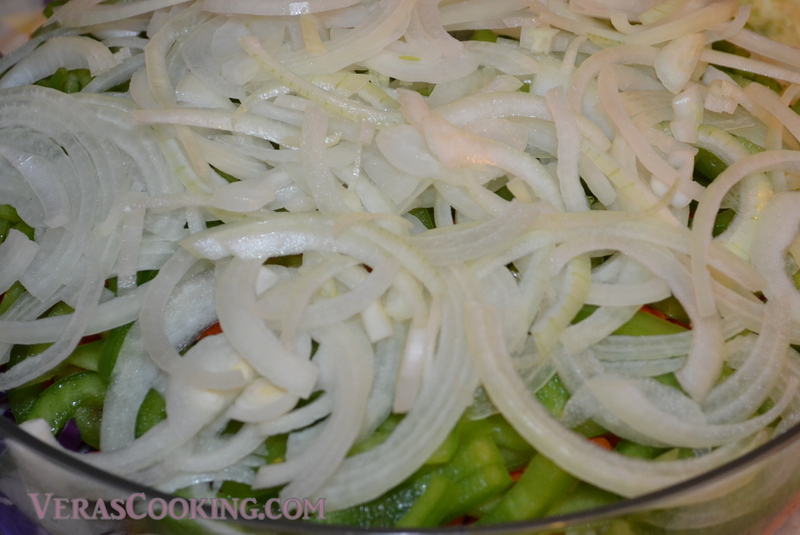 This allows vegetables to marinate and absorb the flavors. In large bowl, gently toss prepared vegetables, add vinegar, mayonnaise, and season with pepper. Cover and refrigerate.This salad is better when made a day ahead. 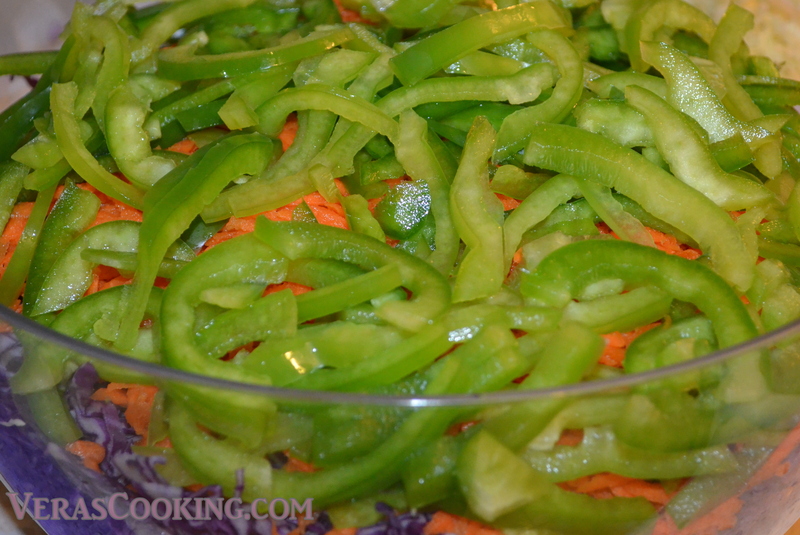 This allows vegetables to marinate and absorb the flavors.Enjoy!